Stolairus is an AMO pursuant to CAR 561 and 573.02 and holds Aircraft, Structures and Welding ratings. Stolairus can perform non-specialized maintenance on Piston and Turbine powered aircraft up to and including 12,500 lbs (5700 Kg) and can also perform various specialized and non-specialized work relating to aircraft repairs, modifications and welding. All maintenance, manufacturing and administration functions are performed within an integrated 5,400 sq. ft. hangar and office facility, which is part of a 25,000 sq. ft complex at the north end of the Kelowna International Airport. Stolairus also has approximately 9,300 sq. ft. of dedicated ramp space directly outside of its hangar. 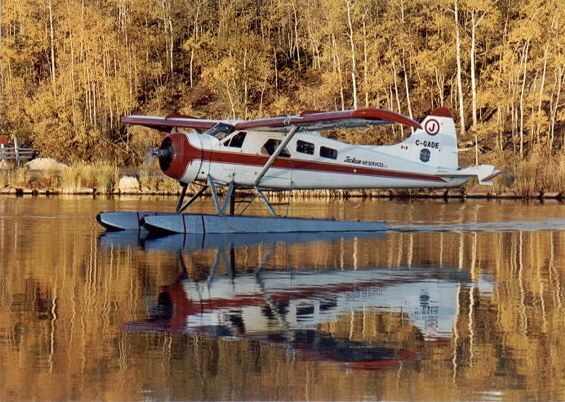 Stolairus Aviation Inc. looks forward to supporting and maintaining a variety of small to medium sized aircraft including the many amazing Beaver & Otter aircraft still in operation. Beaver (DHC-2) STOL Kit This STOL technology enhances the SAFETY & PERFORMANCE characteristics of the Beaver aircraft when it is empty or fully loaded with clients or cargo. Beaver (DHC-2) Wing Angle Kit The Wing Angle Kit gives the Beaver an "Attitude Adjustment". This Kit brings the fuselage more in line with the wing thus reducing drag. The results are an increase in air speed, visibility (for pilot & passengers), better engine cooling (up to 50 degrees) and an increase in flying stability. The combination of all of these featues results in about a 10% reduction in operating costs. Beaver (DHC-2) 5370 Tip Fuel Upgross Kit Operational weight increase of 270 lbs to a gross weight capacity of 5370 lbs which gives your Beaver longer range capability. Increase your payload means increasing your PROFITS !! Beaver (DHC-2) Quick Flap Handle Kit The extended flap operation creates maximum lifting capability out of the wing, safely keeping the aircraft on a steady flight path during take-off and landing. The flap handle is STC approved in the USA and is presently going through the STC familiarization process in Canada. Beaver (DHC-2) Baggage Kit & Cabin Extension This Beaver Baggage Door and Cabin Extension modification allows for added storage capability and ease of loading larger cargo items. Otter (DHC-3) STOL Kit This STOL technology enhances the SAFETY & PERFORMANCE characteristics of the Otter aircraft when it is empty or fully loaded with clients or cargo. Otter (DHC-3) 400 lb Upgross Kit The 400 lb Upgross Kit increases your Otter's gross weight capacity on floats to 8367 lbs. Otter (DHC-3) 7490 Float Mod (LSTC Only)This LSTC allows for the removal of your 7490 amphibious gear in order to increase the gross weight capacity of your 7490 floats to 8367 lbs. Otter (DHC-3) 7170 Float Stretch Kit The 7170 Float Stretch Kit enables 7170 floats to increase their gross weight capacity to 8200 lbs when installed with Stolairus' 400lb Upgross Kit. Otter (DHC-3) Float Bumpers These Float bumpers are for EDO 7170 or EDO 7490 Floats and help to prevent dock chaffing and also increase the floats gross weight capacity. Otter (DHC-3) Aft Cargo Net Kit Stolairus supplies everything you need to install a complete AFT Cargo Net Kit. Otter (DHC-3) Port or Starboard Cargo Net Kit (LSTC Only) Stolairus supplies everything you need to install a complete Port/Starboard Cargo Net Kit. Otter (DHC-3) “Yukon” Cargo Door Mod The new "YUKON" Cargo Door for the DHC-3 Otter transforms the single engine Otter into a BIG aircraft ready for large cargo missions. Otter (DHC-3) Albatross Prop/Blade STCThis STC allows for the installation of the Super 600 Hi-Thrust Albatross Prop on to the DHC-3 Otter. 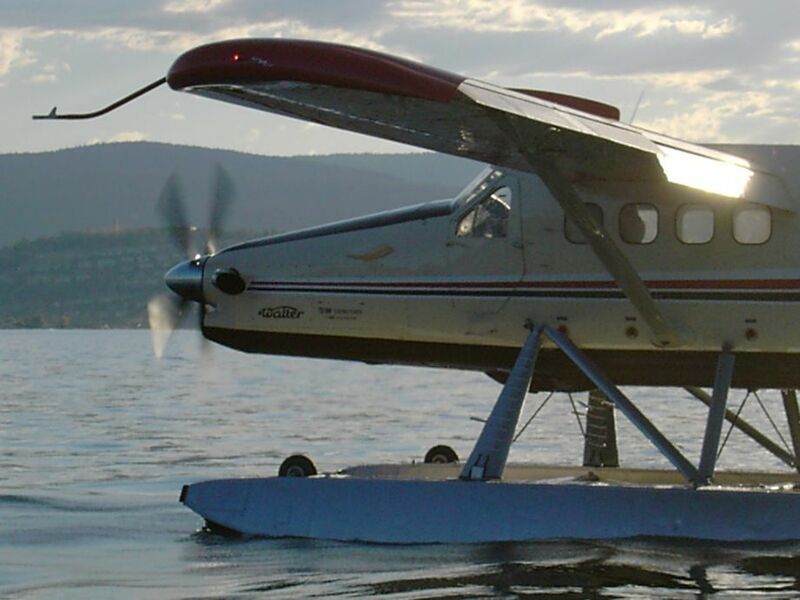 Otter (DHC-3) 16 Seat ModificationThis 16 Seat (High Density Seating) Modification adds an additional four seats on the Starboard side of the aircraft and a single seat in the rear area for an addition of 5 seats for a total seating capacity of 16 people including Pilot and Co-Pilot. Walter Turbine Otter Conversion "The MOST COST EFFECTIVE, ALL INCLUSIVE, DHC-3T CONVERSION" The Walter M601 turbine engine is time proven with over 14,000,000 hours of operation in 50+ countries and on 30+ aircraft since 1971.